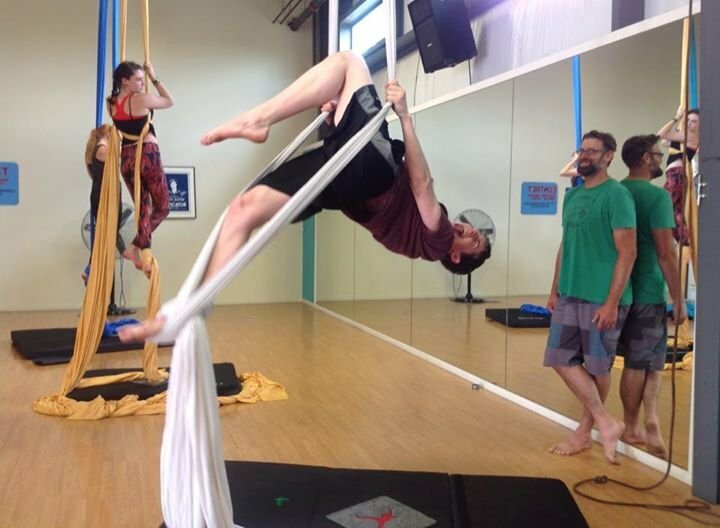 Aerial arts is not "just for girls," it's an incredible full-body workout, instilling discipline, helping build strength, and providing an amazing atmosphere for fitness and fun! 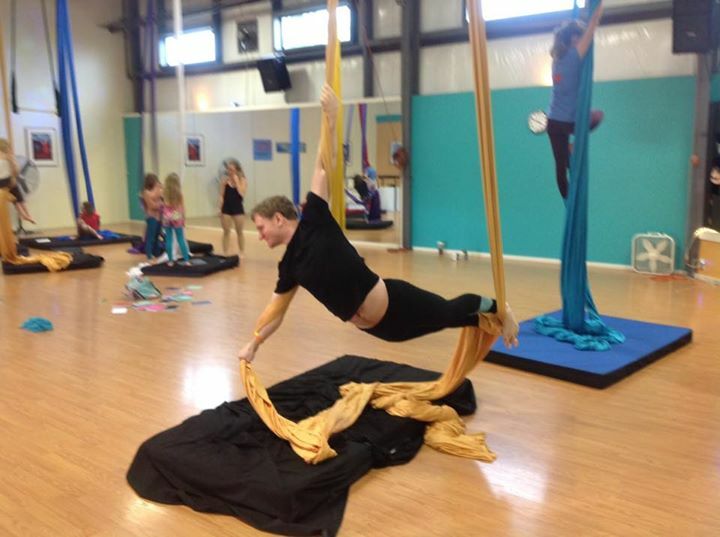 Aerial is a great for for both men and women to get fit and strong! Father's Day Fun! Getting our dad's involved! Dad's Day in the air! 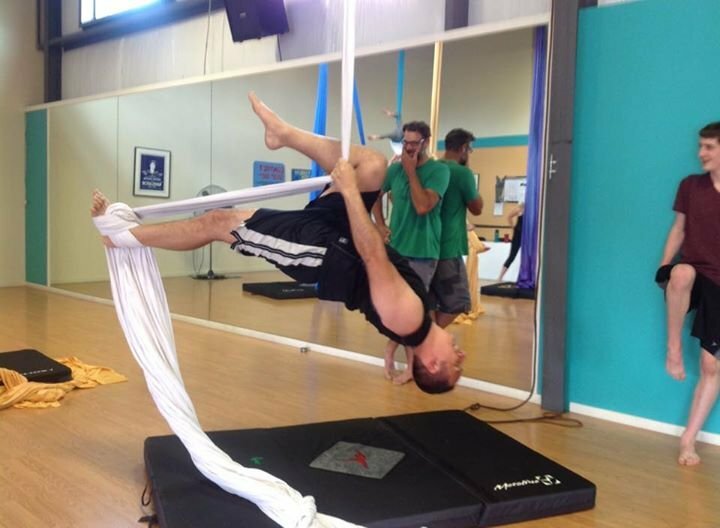 We are seeing more and more guys learning to fly with COAA, come hang out! 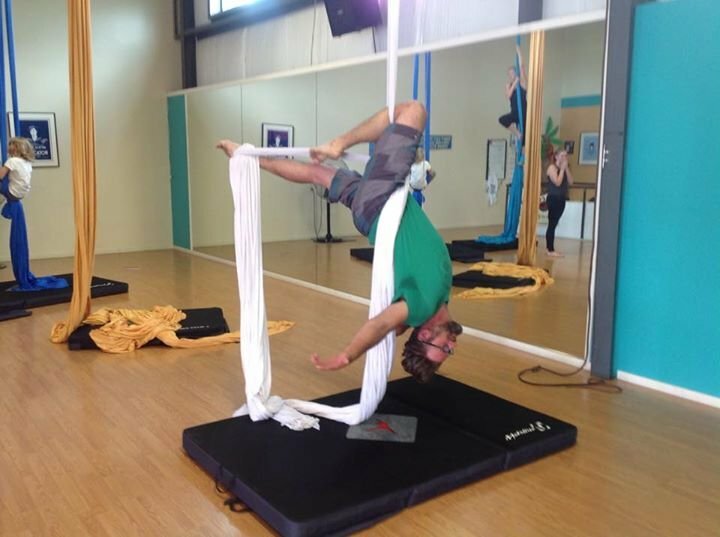 Another dad getting involved and trying out silks for Father's Day.